The look on their faces says it all. 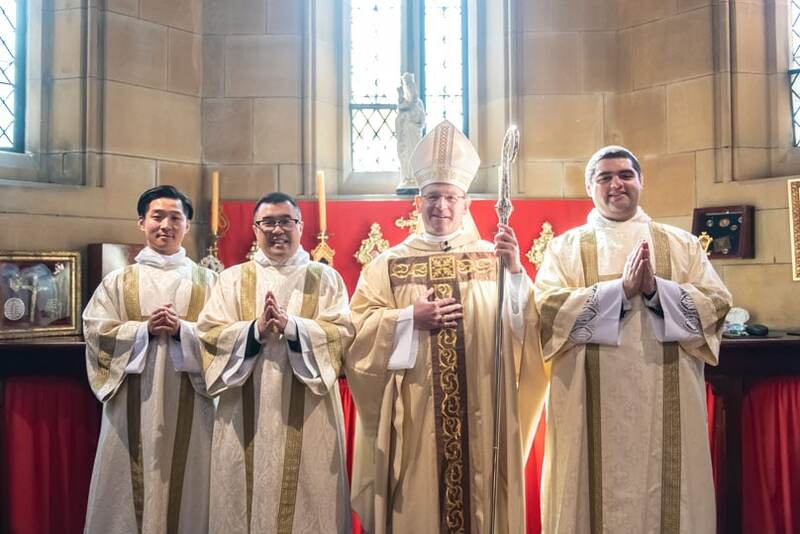 When auxiliary Bishop Anthony Randazzo ordained John Jang, Ronnie Maree, and William Chow to the transitional diaconate at St Mary’s Cathedral on 21 July it was an overwhelmingly joyful ‘first’ for all four men. 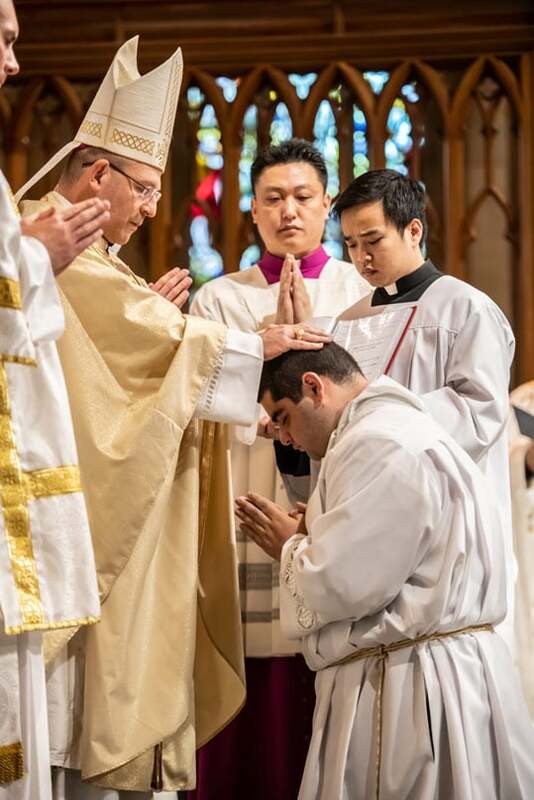 It was the young seminarians’ first formal laying down of their lives in the service of God’s people – and the first time the bishop had ministered an ordination. 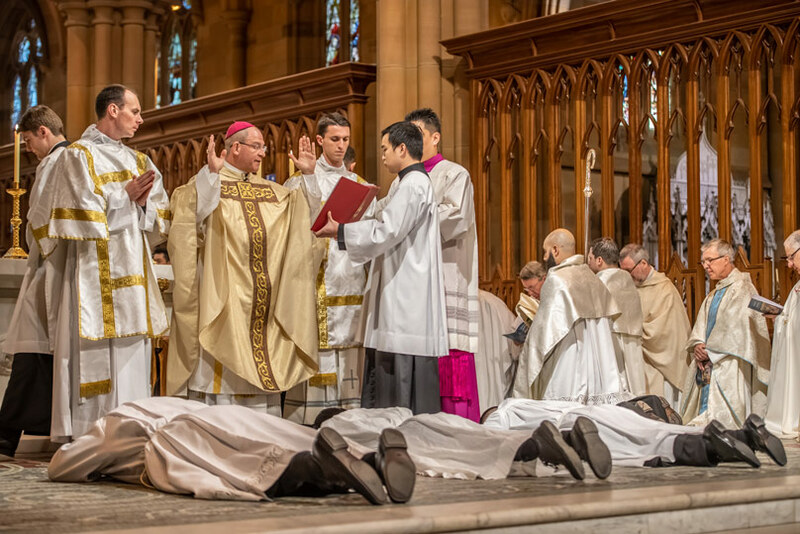 The future priests for the Sydney Archdiocese were ordained in the presence of their family and friends. In his homily the Bishop said the role of the deacon is to know and love Jesus and reflect his love to others in their everyday life, and through preaching God’s word, ministering baptisms, witnessing marriages, and assisting priests at Mass. They also have a special commission to celebrate the Liturgy of the Hours, the daily prayer of the Church. “As God works in you, keep your eyes on Christ crucified. Only then will you be able to make sense of your ministry to the sick, the poor, the vulnerable and those on the edge of the Church and of society,” he said. Afterwards, Bishop Randazzo said his first deaconate ordination was “very humbling”. “In the Church, I rarely talk about ‘privilege,’ because I don’t believe anything we do is a privilege; I think that everything that’s given to us is a privilege. “And I felt extremely privileged to be able to be called forward to ordain these men, and it made me feel very humbled, because preaching to them about being a servant meant I had to first think about what it should mean for me as a Bishop to be a servant before I could tell them what I think it meant to them. “So I found it very moving. 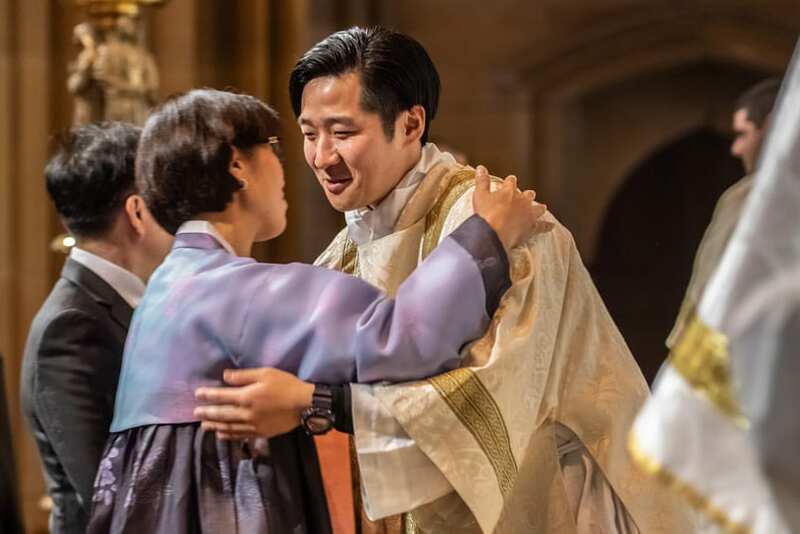 Deacon William said his ordination inspired him with new confidence to “bring the good news of Jesus Christ to people of Sydney and beyond”.